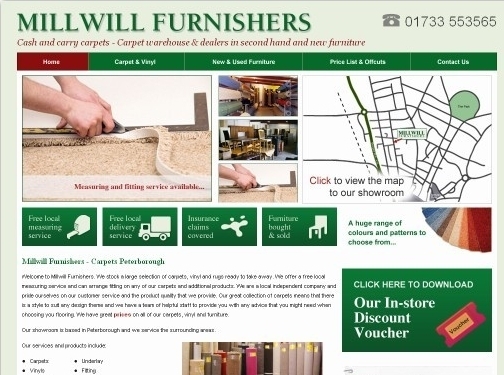 Millwill Furnihers are a professional provider of quality furniture, carpets and vinyl flooring throughout Peterborough and surrounding areas. Where they offer a range of products in a range of styles to suit all homes and properties. UK (Peterborough) based company providing furniture, carpets and vinyl flooring solutions. Website includes details of products / services provided, pricing, downloadable vouchers, enquiry form, full company contact details.